Battery holder, AAx3 Battery holder, AA with 3 sockets. List Price 0.25лв. VAT Incl. 0.22лв. VAT Incl. 0.20лв. VAT Incl. 0.18лв. VAT Incl. 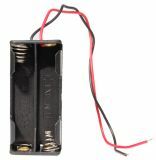 Battery holder COMF BHC-18650-1A Battery holder COMF BHC-18650-1A. List Price 2.50лв. VAT Incl. 2.38лв. VAT Incl. 2.25лв. VAT Incl. 2.12лв. VAT Incl. 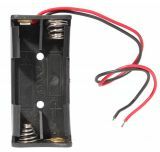 Battery Holder 9V, BH-9VPC Battery holder 9 V, BH-9VPC. 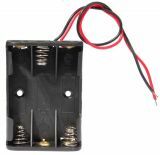 Battery holder, AAx4, USB Battery holder, AAx4, USB. It can be used as an external battery for charging of phones, tablets and others. List Price 4.99лв. VAT Incl. 4.74лв. VAT Incl. 4.49лв. VAT Incl. List Price 1.50лв. VAT Incl. 1.42лв. VAT Incl. List Price 1.10лв. VAT Incl. 1.04лв. VAT Incl. 0.99лв. VAT Incl. 0.93лв. VAT Incl.